The Wargaming show here in Cologne would be nothing without happy players. Here are five of the best things about gamescom that people absolutely love. The booth! This year's booth is even more open than ever. 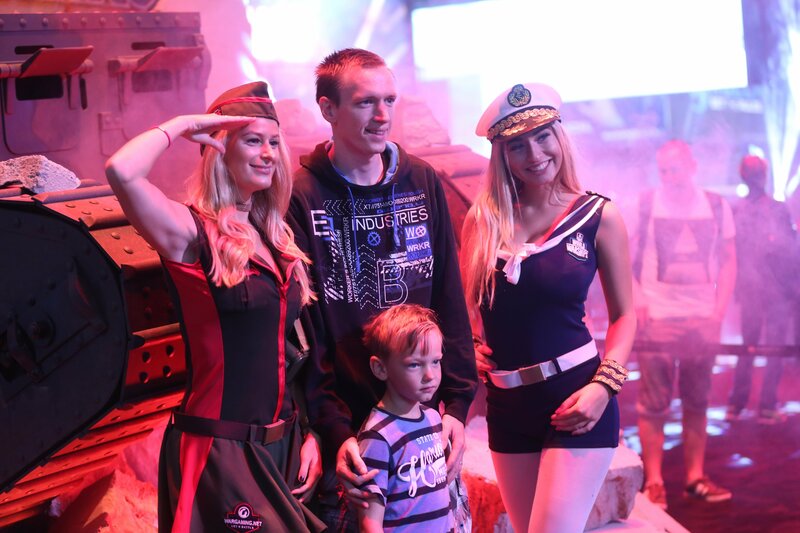 The Wargaming staff, the streamers and the performers are there to welcome and chat with you throughout the show. And the program on stage is pretty cool too, if we do say so ourselves! "I just saw QuickyBaby in person!" - Rough translation of someone in the crowd. "There was a little girl sitting on her father's shoulders in the crowd. When they were giving out the big plush torpedo, the guy on the stage asked the crowd whether she should get it and everyone cheered. I thought that was really cool." - Florian, 19. Photo booth! Yes, we actually built a replica of the Mark IV WW1 tank and smashed it through a wall. It now poses as the perfect background for your pictures. What an absolute blast! 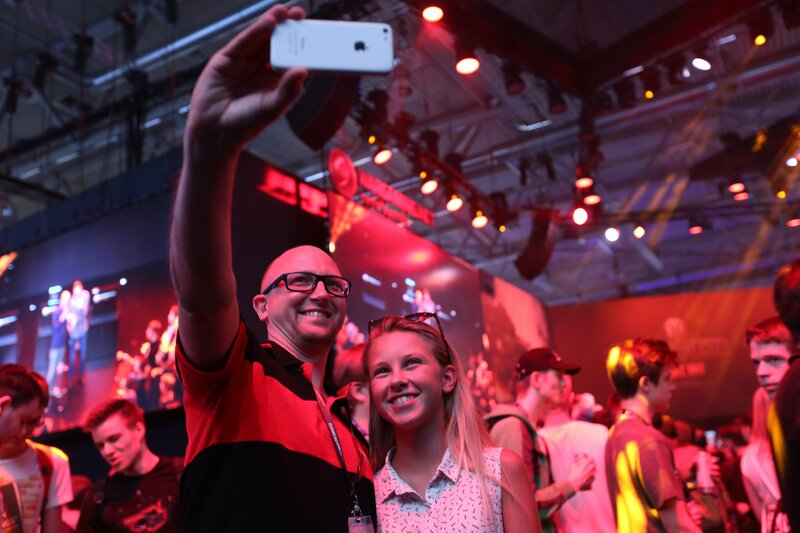 "Thank you Wargaming for making this year's gamescom so awesome. I love tanks and this picture is going into my family album." - Christopher. The goodie bags! 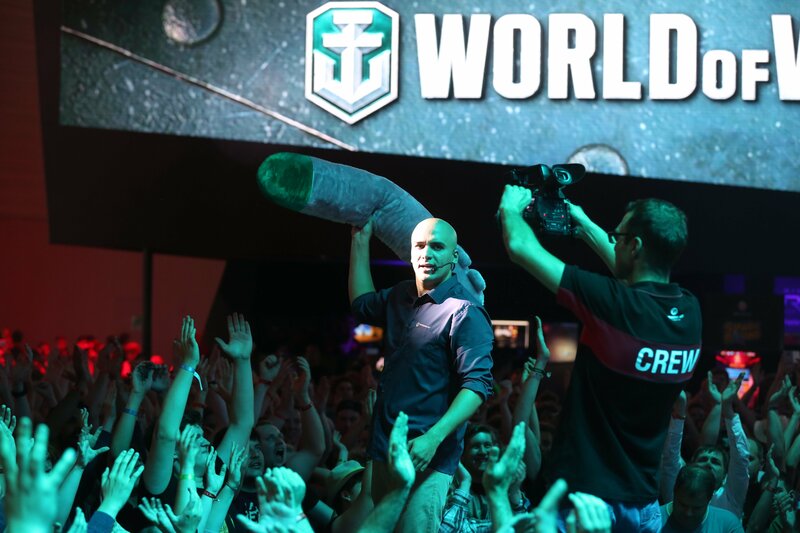 Within the colourful bags, there are bonus codes for either World of Tanks or World of Warships, and a swanky custom made t-shirt, you can't get anywhere else but here at gamescom. "We actually got right back into the queue, because we wanted to bring something cool for our friends and families too." - Eric, 21. 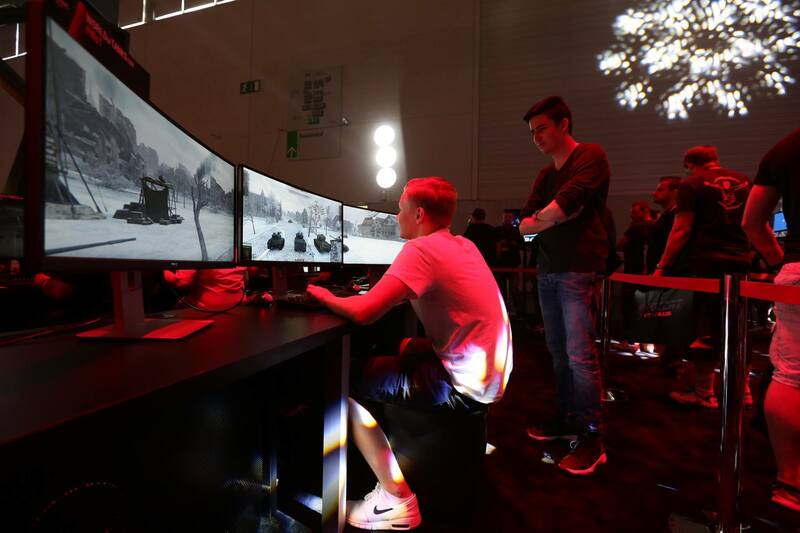 The monster PC to play World of Tanks on! There's just something absolutely delightful about having such a wide perspective over the battlefield. "Too bad I now have to go back to my old PC at home..." - Felix, 18. Keep up with the announcements and the never-ending stream of content on our social media channels. Like letting the world know what you're up to on Twitter? Use these hashtags and get involved in our contests and giveaways!